The Wy’East Route is named after the mountain itself. Long before it was known as Mount Hood, the native Multnomah tribe’s name for it was Wy’East, and it is a quality, but less frequented route to the summit. The Wy’East Route begins the climb as any south side route does, from the Timberline Lodge either by snowcat or on foot. Our favorite way of reaching the Wy’East is by climbing one of several advanced variations of the Devil’s Kitchen Headwall. 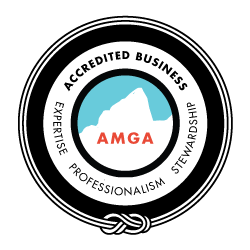 Advanced climbers on Mt. Hood can find themselves on this route after topping out a steeper ice line lower on the mountain. This climb is well suited for a climber looking to get away from some of the crowds on the standard south side route. In addition, those who are looking for a beautiful mountain experience should look no further. We can also access the Wy’East route by crossing the White River Glacier and ascending the East shoulder of the mountain. This route is more roundabout, but involves a bit less technical climbing. We descend via a standard south side route, and hike or ski back to the Timberline Lodge. The Wy’East is a step up from the Old Chute in terms of technical difficulty. It entails a few pitches of steep alpine ice to access the summit plateau. 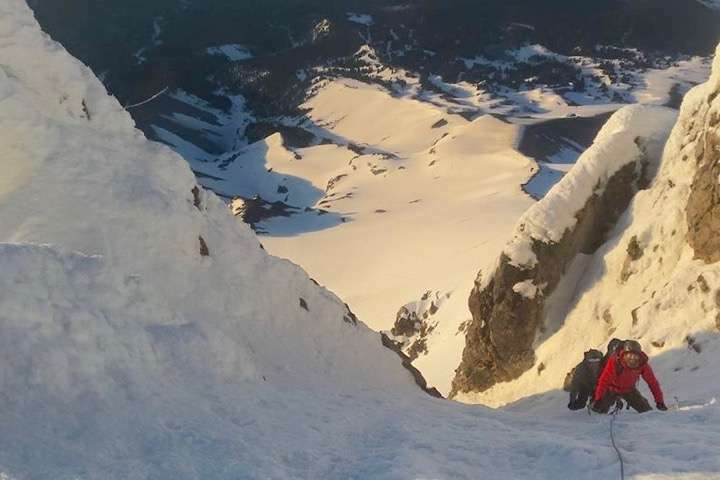 Combined with the Devil’s Kitchen Headwall, this makes for a full alpine route with several pitches of alpine ice and steep snow, with a relatively easy approach, by alpine climbing standards, that is! The Cooper Spur combines steep snow with the commitment of climbing with overnight packs. Climbers should join us in a Mount Hood summit program, prior to attempting this climb.